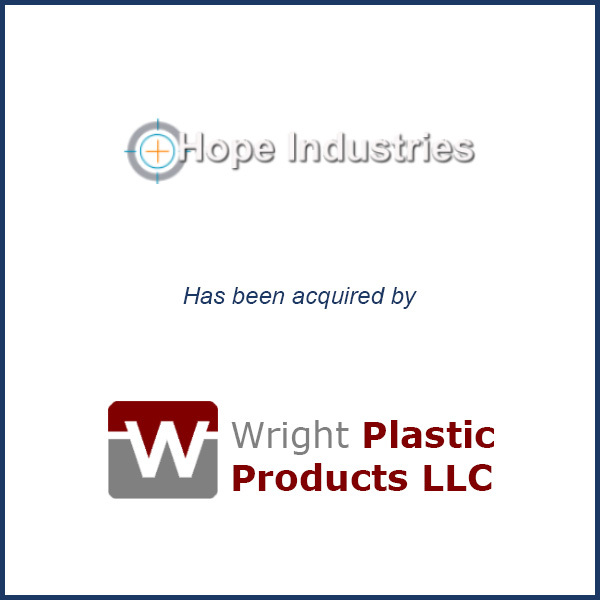 Madisonville, TN – February 2015 – Michigan custom injection molder Wright Plastic Products Co. LLC has acquired Tennessee-based automotive supplier Hope Industries Inc., the companies announced. Wright Plastics, headquartered in Sheridan with a second facility in St. Clair, was looking to add capacity in the Southeast, company president Bob Luce told Plastics News. Hope Industries, similar in size to Wright’s St. Clair facility, operates 17 presses ranging from 30 tons to 440 tons of clamping force. In total, Wright’s machines will number “in the high 50s,” Luce said, with up to 950 tons of clamping force. An article was written in Plastics News in regards to this acquisition. Click here to read the full article.